On Saturday 19 January 2019 the legendary RAAF/FAA pilot CMDR Arthur ‘Nat’ Gould passed away. He was 98. 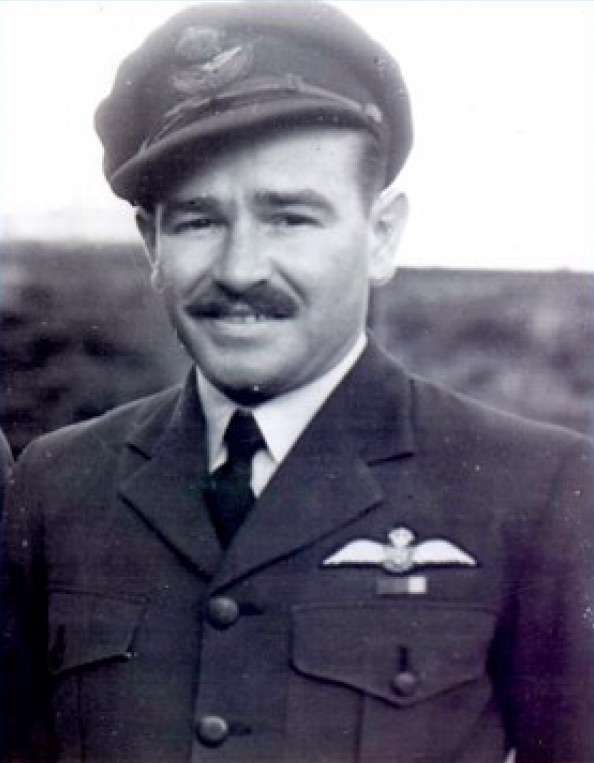 Born in Queensland on 5th May 1920, Nat enlisted in 1940 and served at the rank of Sergeant flying Hurricanes in Scotland. He served aboard HMS Argus, the first true aircraft carrier, and was dispatched to Russia to instruct Russian fighter pilots before returning to the UK and a Spitfire conversion. In June of 1942 he returned to QLD and flew Kittyhawks helping to defend PNG against the Japanese. He returned to Australia in 1943 and served at Mildura in an instructional position, and Darwin. In June of 1945 he shaved off his moustache and was posted on loan to the Royal Navy, flying Seafires off British aircraft carriers. He was offered a short service commission in the RN and served a further four years before transferring to the brand new RAN Fleet Air Arm. He went on to command 816 and 805 Squadrons (flying Fireflies and Sea Furies respectively), including a tour aboard HMAS Sydney in Korea. He retired from the RAN as a Commander in May of 1965. The story of Nat Gould can be read on page seven of our October 2018 newsletter “FlyBy”, available here. It is a testimonial to a truly remarkable member of the Fleet Air Arm. Nat’s funeral was held at the Northern Suburbs Crematorium (East Chapel) on Wednesday 30th January. A memorial service was held at HMAS ALBATROSS on Friday 1st February, with the eulogy delivered by Captain Marcus Peake CSC RAN (Ret’d).